NEW YORK -- It was a startling scientific finding: Children who eat candy tend to weigh less than those who don't. Less startling was how it came about. The paper was funded by a trade association representing the makers of Butterfingers, Hershey and Skittles. And its findings were touted by the group even though one of its authors didn't seem to think much of it. "We're hoping they can do something with it - it's thin and clearly padded," a nutrition professor wrote to one of her co-authors in 2011, with an abstract for the paper attached. The comment was in emails obtained by The Associated Press through records requests with public universities as part of an investigation into how food companies influence attitudes about healthy eating. One of the industry's most powerful tactics is the funding of nutrition research. It carries the weight of academic authority, becomes a part of scientific literature and generates headlines. Funders say they follow guidelines to ensure scientific integrity, and many researchers see industry collaboration as critical for advancing science. Critics fear that companies use science for marketing and hype the findings. The thinner-children-ate-candy research was drawn from a government database of surveys that asks people to recall what they ate in the past 24 hours. The data "may not reflect usual intake" and "cause and effect associations cannot be drawn," the candy paper authors wrote. 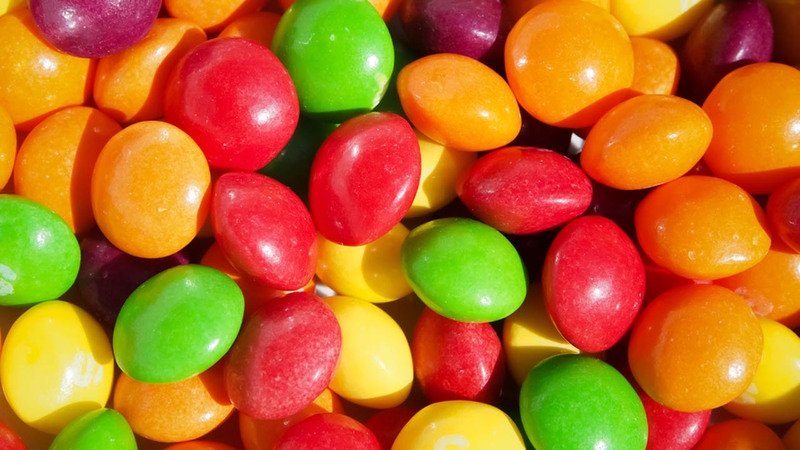 The candy association's press release did not mention that and declared, "New study shows children and adolescents who eat candy are less overweight or obese." Carol O'Neil, the Louisiana State University professor who made the "thin and clearly padded" remark, said in a phone interview the comment was a reference to the abstract she had attached for her co-author to provide feedback on, and that she did not remember why she made it. She said she believed the full paper was "robust." Since 2009, the candy paper authors have written papers for funders including Kellogg and industry groups for beef and fruit juice. O'Neil's co-authors were Theresa Nicklas at the Baylor College of Medicine and Victor Fulgoni, a former Kellogg executive and consultant whose website says he helps companies develop "aggressive, science-based claims about their products." Industry-funded studies don't have a monopoly on the problems in research, of course. But Marion Nestle, a professor of nutrition at New York University said unlike other research, they are designed to be "useful in marketing." The emails show how financial concerns can motivate researchers. In 2010, Nicklas said she decided against attending a General Mills summit because she didn't want to "jeopardize" a proposal the group planned to submit to Kellogg. For another project, Fulgoni advised O'Neil against adding data. "I suggest we focus on these first and 'hook' Kellogg for more funding before conducting more analyses," he wrote. For their paper about candy-eating children, a disclosure says the funders had no role in writing the manuscript. Emails obtained from LSU show the National Confectioners Association made a number of suggestions. "You'll note I took most but not (all) their comments," Fulgoni wrote to O'Neil in 2010. "I have finally waded through the comments from NCA. Attached is my attempt to edit based on their feedback," he wrote about a similar paper on candy and adults. Fulgoni said the group runs manuscripts by clients to check for errors or omissions. Chris Gindlesperger, a spokesman for the National Confectioners Association, said the group's suggestions did not change results. He pointed to another paper that came to the same conclusion by analyzing multiple studies. O'Neil said Fulgoni's consulting business, Nutrition Impact, gets most of the funding and she receives no salary compensation. As research faculty, O'Neil is expected to publish. A Baylor College of Medicine representative, Lori Williams, said the school did not receive payment from the candy association or Nutrition Impact for the paper co-authored by Nicklas. In 2011, Nicklas sent Nutrition Impact an invoice for $11,500 for three manuscripts, including $2,500 for "candy." After being provided a copy of the invoice by the AP, Williams said the school began a review "surrounding funding and disclosures on this research." Another paper by the co-authors found a link between chickpeas and hummus and better nutrient intake. It was funded by Sabra Dipping Co. and a disclosure says funders had no input in its drafting. But Sabra provided feedback that was incorporated. For a line on the benefits of "recipes made from chickpeas," for instance, it suggested tacking on, "such as hummus." Sabra said it received a courtesy review for "providing clarifying notes and ensuring accuracy of product data." Eric Hentges, executive director of the International Life Sciences Institute, said sponsors provide comments to ensure excellency, but that authors have the final say. ILSI is funded by companies including McDonald's and Unilever. -For a study comparing breakfasts for children, the American Egg Board asked a University of Arkansas researcher to explain her study's implications for the egg industry. "This could lead to increase sales and profits," wrote Jamie Baum, an assistant professor of nutrition. In a statement, Baum said it is standard for funders to ask about industry implications and that she always applies the same scientific rigor. -Coca-Cola's former chief science officer, Rhona Applebaum, referred to industry critics as "trolls" in an email with Coke-backed researchers. The roles of scientists and marketers sometimes blurred. In 2013, a University of South Carolina professor, Steven Blair, asked Coca-Cola to fund a "Research & Message Strategic Plan." "We must prepare and publicize 'our message' rather than let the media and other forces control the perception of our work," the plan said. Blair has been criticized for emphasizing the need for physical activity and shifting blame away from food and drinks. A university representative, Wes Hickman, said the school stands behind Blair's research and that suggestions that he ignored diet implications are "simply false." Coca-Cola said it is working on being a more "helpful and credible partner."